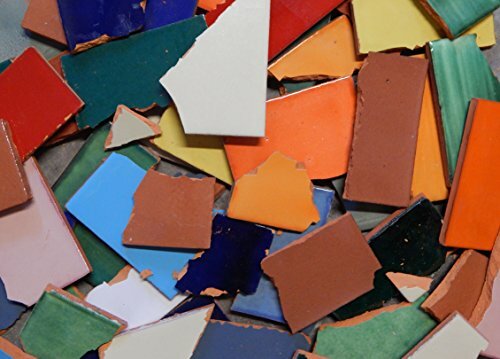 10 Pounds of Broken Mexican tiles to decor any space in your kitchen, bathroom or any other space in your home or office. The picture represent of what you could receive, because due to our rotation of stock colors and sizes will vary. You may received the tiles in a whole piece appropriate to be broken as you want, so you can make your own mosaic work. These tiles are not frost proof. • Package with 10 pounds of broken tiles. • Colors and sizes will vary. • Mexican tile perfect for mosaic projects. These tiles are seconds and are sent in a whole piece so you can break them as desired. If you have any questions about this product by Color y Tradicion, contact us by completing and submitting the form below. If you are looking for a specif part number, please include it with your message.